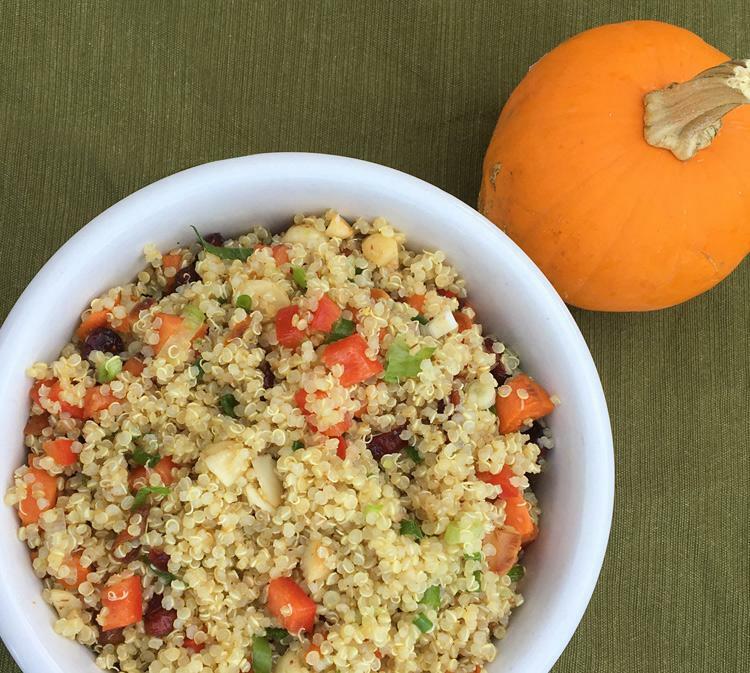 Spruce up your dining table with this easy quinoa salad recipe. It's hearty, colorful, crunchy and flavorful and even kids love it! The honey quinoa salad dressing adds just the right amount of sweetness and spice to balance the earthy, bitterness of the quinoa. A healthy, gluten-free alternative to carb-heavy sides and hearty enough to eat for lunch. All the ingredients should be cooled to at least room temperature before combining to make the salad so they could easily be prepared ahead of time. Cook the quinoa and let stand covered until cooled. Place the pine nuts in a small pan over medium heat, stirring often until lightly toasted. Set aside. Sauté the carrots in 1 tablespoon of olive oil over medium heat until lightly browned and caramelized. Set aside. For the dressing, whisk together the olive oil, lemon juice, honey, cumin, cinnamon, salt and pepper. Fluff the quinoa with a fork and transfer to a large bowl. Add all the ingredients including the dressing and mix gently. Serve at room temperature.